Brilliant and Milanese, Alfa Castaldi was always seen as the sophisticated intellectual, the observer, the outsider when he sat with Ugo Mulas and Carlo Bavagnoli and the other artists and writers in the hot bed of intellectualism that burned at Bar Jamaica in the ‘50’s, where his first photographs were taken. Clearly destined for a career in the arts, he abandoned the traditional mediums to begin a lifelong exploration of photography. Taking his critical eye to Paris, London, Algeria and around Italy, he devoted himself to reportage. However, when he returned to Milan, he met Anna Piaggi, a feature writer for Vogue and who became his best friend. Anna encouraged him to use the vehicle of the fashion photograph as another means to explore his aesthetic vision. They were married in 1962 and their partnership would endure until Castaldi’s death in 1995. His work in fashion became legendary. 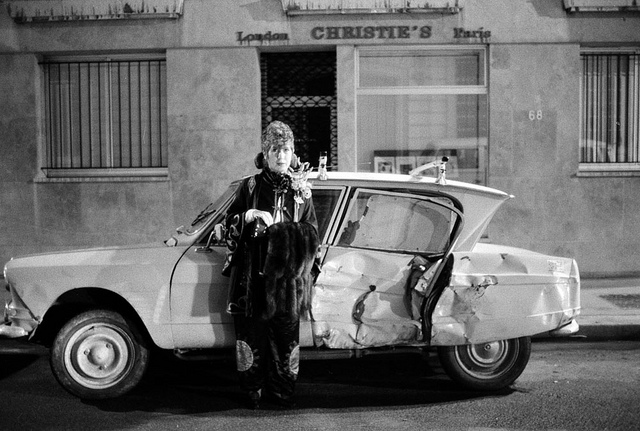 In the 80’s his shots for “Compagnia di Stile Popolare” convey both the fashion and analysis of the history of fashion for Uomo Vogue in an almost academic style unseen until Castaldi. From the inside, he is as likely to shoot the designers as the dresses, and his body of work, and more importantly his friendships, are reflected in the intimate portraits of Karl Lagerfeld, Ottavio and Rosita Missoni, Giorgio Armani, Laura Biagiotti, Andrea Branzi, Michele De Lucchi, the Fendi sisters, Gianfranco Ferre, Ettore Sottsass and many others. You can attend the Alfa Castaldi photography exhibition at the Galleria Carla Sozzani, Corso Como 10 – 20154 Milan, Italy until 30th March, 2013.